MANILA -- The Commission on Elections is looking for other ways to monitor campaign spending online, its spokesman said Monday, with few candidates so far opting to register their election-related websites with the poll body. As of Monday, only 29 of 62 senatorial candidates have complied with this new requirement, which the Comelec designed to determine possible overspending after the campaign. Among the 134 party-list groups running in next month’s midterm elections, only 69 have submitted the URLs (uniform resource locator) of their campaign websites. In all, 1,473 out of 43,554 candidates nationwide have informed the election commission of their campaign websites. “Meron pa ring tayong paraan para malaman kung ano yung mga websites na basically nagbe-behave na parang campaign outlets,” he told reporters. Registering websites and social media accounts is not a “hard” rule but only a “directory requirement” by the Comelec on candidates, he said. 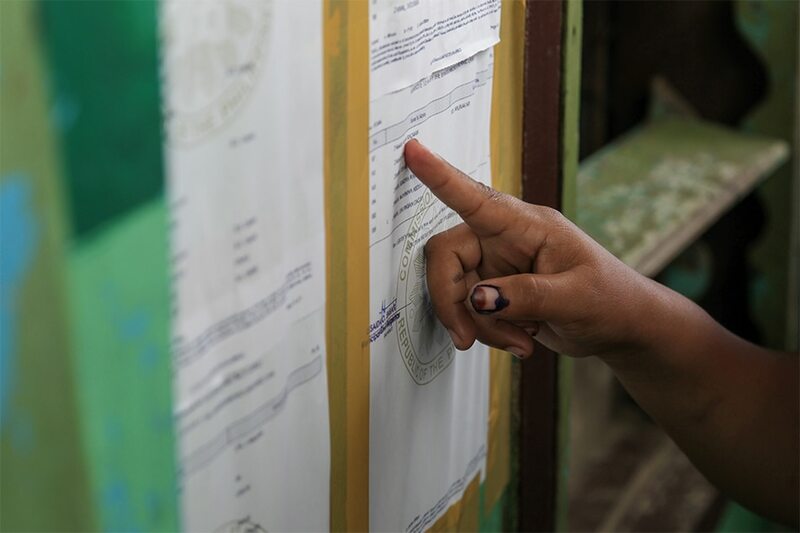 “Sa ngayon hindi pa natin tinitingnan na i-penalize yan,” he said, noting candidates could still register their campaign websites with the Comelec. Election rules allow candidates with political parties to spend up to 3 pesos for every registered voter in the area they are running. Candidates without parties may spend up to 5 pesos per voter.